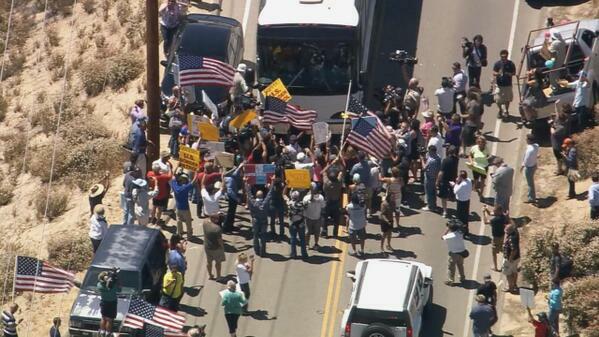 On Tuesday hundreds of protesters in Murrieta, California blocked buses carrying illegal immigrants from Texas. 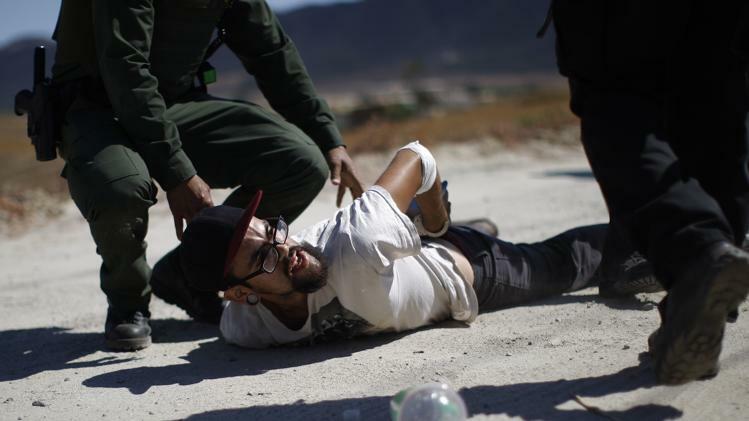 Five violent pro-illegal immigrant counter-protesters were cuffed and arrested on Friday during another protest. In response to the protests and arrests– the feds are reportedly going to send out riot squads against the illegal alien protesters in Murrieta. As illegal immigrants continue to spill across the U.S.-Mexico border, federal authorities are attempting to relocate the migrants from South Texas to housing facilities in states across the nation. One such facility is located in Murrieta, California, where a large group of protesters recently blocked a bus full of migrants from arriving. The protesters remain there, adamant that illegal immigrants don’t get dumped in their town. But soon the concerned citizens may be forced to step down–Breitbart Texas has learned that federal agents plan to arrive in Murrieta on Monday with riot gear to ensure that another busload makes it to the housing facility.